Character. Cost: 5. STR: 2. 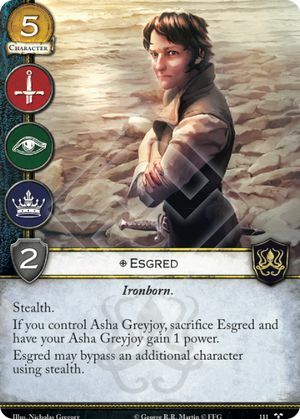 If you control Asha Greyjoy, sacrifice Esgred. Then, your Asha Greyjoy gains 1 power. Esgred may bypass an additional character using stealth.